I have used many books in researching this class and all of it's related topics. Here are some of those books that I have found most helpful. I have used these books to get more at the witch of myth and history, rather than the modern witch of today. Keep in mind that these books have nothing to do with RPGs, they are books of belief. Witchcraft is a real religion and people take their religious beliefs seriously and personally. These books have been helpful for a variety of reasons. If for nothing else to get me to think about witches differently than other game authors have. This book has been long out of print, and I got mine at a used book store, but it is the indespensible work on witches, the witch craze and demonology. The book takes a very pro-witch point of view as it frankly discusses the murder of women, children and even men in the name of god. Not to be missed, this book has been THE source for most of my writings. Several editions are out there, mine is the 1959 edition. I have seen them on Ebay as well. It would be unfair to compare this book to the work above it, because this book is very good. 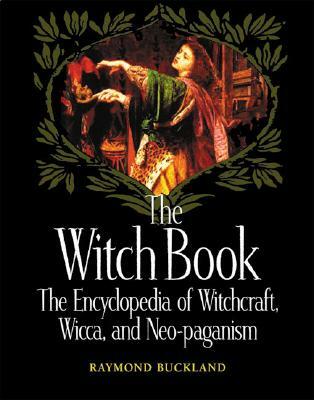 More a modern spin, it still deals with a variety of topics that are of interest to the witch or occult scholar. I used this book a lot when writing Eldritch Witchery. This book also has the advantage of being much newer and still available. All around a good mix of topics, witch myth is mixed in with modern Wicca, making difficult for the unlearned to know what is what. But for those who know a bosom from a common broom, then you will enjoy this book. If you have your own Bosom, then you might even find this book a little simple, but I found things there I did not know about, so I enjoyed it! Another encyclopedia This one though covers less but goes deeper on it's topics. I like Buckland's writing style more than some of the others listed here. Gave me a lot of insight on various witch traditions. Another encyclopedia of all things witchy. This one focuses on more modern practices, has a very large list of contacts, email and websites. Some overlap with Guiley's book. 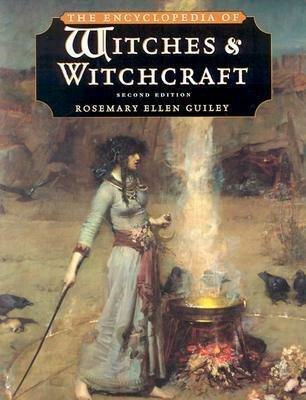 If you are interested in the nature of the religion of witches today, then this is your book. Or at least it is a good place to start. A nice a well written book for witches and lay-people (cowans) to understand what a coven is and does. This is not a primer to witches, witchcraft or wicca, this book assumes you know what you need to know and works on what you may not know. It is concise and intelligent and a good read, even for non-witches. Maybe especially for non-witches, so that others can finally learn what witches do. From Llewellyn Publications. A good book that deals with the wicth craze of the middle ages. Discussion range from early "faerie stories" to pagan religions, to the church sanctioned murder of thousands. Sometime muddled, the book has a few rare gems. Plus it delves into the socilogy of fear, why these people did what they did. Gets as far as the Salem witch trials. Very little to do with modern witchcraft. Another in a series of encyclopedia/dictionaries about witchcraft. A very good beginners guide. More of a coffee table book than an indepth treatsie on witches or witchcraft. Heavy on the feminist side, but not man-bashing (it is an Eric "Fear of Flying" Jong book) it is visually stunning. An oversized book, so if you look for it in the library you might have to check the oversized selves. My local library cut out some of the more risque pages. So I bought my own copy. I read this, along with Book I, years ago, towards the first drafts of my witch class. It has spells that can supposedly really cast. Never tried. But it is a good insight on how some witches view or can view magic. A picture of me reading this over the top of my glasses (Thomas Dolby style, there THAT's long ago it was!) made my High School newspaper!. I alway's liked Jung. His psychoanalytic theory always sat better with me than Freud's. 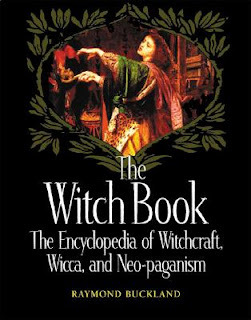 This book deals with many of the archetypes we deal thing at an uncounscious level, the witch is one of many type of female, or anima, archetypes. Jung is one of the greatest thinkers of the modern era, and this is one of his masterpieces (along with Synchronicity). This is the book on modern pagan practices. Since it deals with a real world religion i only used it as inspiration to the Witches Netbook I wrote. But if you want to know what is going on in the world of paganism today, then this is your first stop. It is very telling for the foresightedness of this book when you consider that it was first published in 1979! Similar in nature to Adler's book above, this book deal with modern wicca and witchcraft. Ravenwolf is very much a witchcraft supporter and her point of view shows through in this book, for good and ill. A good place to start and then return to when you know a little more. Generally speaking I am not a huge fan of Silver Ravenwolf, but at the same time I am not really her target audience, so my opinion should be taken with a grain of salt. She has similar fare in her other books, To Stir a Magick Cauldron and To Light a Sacred Flame. I have enjoyed the anthologies of Marvin Kaye for years. Ghosts, Vampires, Demons & Devils, and now witches. I found this in the library and had to get a copy from Ebay. It is a collection of short stories about witches, warlocks and witchcraft. The quality varies, but gems are true gems. Would you mind if I recommended a couple of titles for your perusal, should you ever decide to make a second edition of the Witch book (or for future witch-oriented gaming items)? I have some more to post. These were the ones I had handy. But I would love to see more. The most obvious one to me that you didn't include here is Ronald Hutton's The Triumph of the Moon. Though some of his conclusions are arguable, it is mostly due to his method, which is purely historical, ignoring folklore parallels, comparative religion, and so on. Also, it is focused on modern, neopagan witches. I understand from this post that such is your own focus on this project, though, so it seems like a good suggestion. Most of the rest of these suggestions, though, will be focused on historic witchcraft prior to the 19th century. Claude Lecouteux's Witches, Werewolves, and Fairies is an overview of late Dark Ages/early Medieval attitudes toward the titular subjects. He has several other books that expand on some of the material there, but it is not specifically about witches, so I will simply note that the other books exist. Between the Living and the Dead by Éva Pócs is a study of witches and related phenomena in Eastern Europe, from early times to the 20th century. I highly recommend this one. Ecstasies: Deciphering the Witches' Sabbath by Carlo Ginzburg is a grand study of a whole set of related complexes in Europe (though his limitations exist, the broad, but well-defined subject matter makes it fairly easy to identify related material in areas he did not cover). It also discusses how the Early Modern witch hunts came about (spoiler: it was pretty much greed and displaced Antisemitism). Also of particular interest is Ginzburg's The Night Battles, which is the original study of the Benandanti, a particular sort of witch figure from Friulia. There's not a whole lot on witches in it, but Ioan Couliano's Eros and Magic in the Renaissance does include some important notes regarding witch beliefs in the Renaissance, and an extensive discussion of what, exactly, the Renaissance magicians believed "magic" to be. The Sorcery Trial of Alice Kyteler edited by L.S. Davidson and J.O. Ward is about a contemporary account of that infamous early witch trial in Ireland. Richard Kieckhefer's Magic in the Middle Ages is an overview of the subject in general, and covers witches as well as other magical practitioners. I hesitate to recommend this one, as I haven't actually read it myself yet, but high on my "wish list" is Owen Davies's Popular Magic: Cunning-folk in English History. Related, Emma Wilby has two books that I want on the subject, Cunning-Folk and Familiar Spirits and The Visions of Isobel Gowdie. Sinead Spearing wrote Wiccecræft: Shamanic Magic from the Dark Ages, which is a manual for modern practitioners, but based on fairly well-researched material from the Anglo-Saxon world. A better book for Anglo-Saxon material, though more expensive and not so focused on modern practice, is Stephen Pollington's Leechcraft: Early English Charms, Plant-Lore and Healing. OK, those are the ones that I was thinking about. The Anglo-Saxon material of the last couple of recommendations may be marginal for your specific direction, but should nonetheless be useful. The Fairy-Faith in Celtic Countries by W.Y. Evans Wentz is a remarkable study of the subject. It suffers slightly from Wentz's desire to pigeonhole the fairy beliefs into then-fashionable Theosophical terms, but these are easily seen and ignored. The Secret Commonwealth by Rev. Robert Kirk. This is a contemporary (late 17th century) study of fairy beliefs in Scotland. Kirk has become part of that tradition, as it is believed that he was taken into the fairy realm. Available in several editions, I recommend Brian Walsh's study of the book, The Secret Commonwealth and the Fairy Belief Complex, and R.J. Stewart's occultist analysis of the text, Robert Kirk: Walker Between the Worlds. The former discusses the text in terms of folklore, including the folk tale motif indices of the various statements in the book. The latter is more about practical uses for the information provided, and is certainly valuable on that account. It should be noted that Stewart is a follower of William G. Gray, and his methods of approaching Kirk's material reflect that. Thanks! Some of these I do know, but some are new to me. Can't wait to check them out. Thanks so much.